I've rounded up some of my favorite caftans below. Will you relish in them with me? 1. DKNY Colorblock Long Sleeve Woven Caftan - Currently on sale! 2. Naeem Khan Resort 2016 Collection - Won't you pretend to own this with me? 3. Proud Mary Indigo Shibori Caftan - Handwoven with locally harvested indigo from Mali, West Africa. 4. Linen Cocoon Dress - I love the simplicity of this dress and feel like I would wear it everywhere. 5. Vogue Caftan Catwalk - This shot is from a March 1973 issue of Vogue Italia. 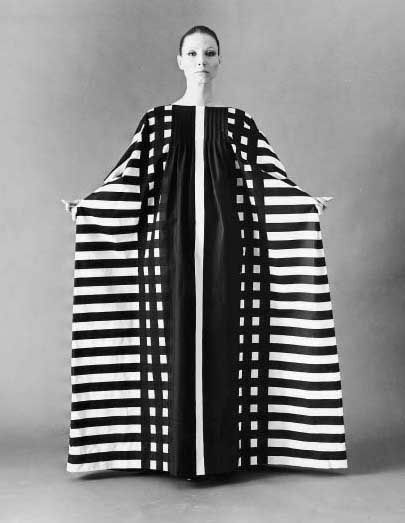 Click on the link for more great vintage caftan inspirations. 6. Hatch Collections The Caftan - This brand caters to cool moms-to-be, but as far as I'm concerned, this dress can be worn with or without a bump!